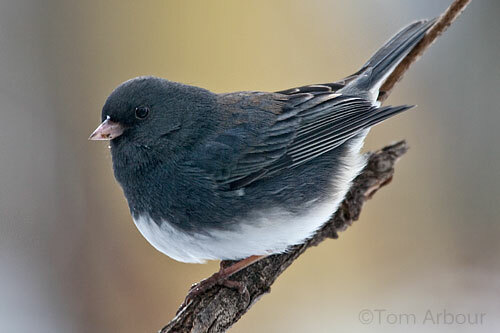 The dark-eyed junco, one of Ohio's "snowbirds". Megan, Weston and I are going to do the "snowbird" thing this year and fly, courtesy of U.S. Airways, to Puerto Rico and hang out in the beach town of Rincon with her grandmother. She's a true snowbird who visits the island territory for several weeks each winter. We'll have just one week of winter reprieve, but I can't wait to escape the ice and snow of Ohio for the warm beaches and surf of Peurto Rico. Having never been to the Island, I'm in need of advice. Have you visited Puerto Rico? Have you naturalized or birded the island and have any tips for us? After writing this post, I re-thought my desire to escape my rather comfortable life for a trip to Puerto Rico, while those in the nearby island nation of Haiti have no opportunities to escape their dire predicament. Here is a link to the Red Cross donation page. Enjoy the sunshine with the birds who flew down on their own. I've never been to P.R. & I understand your change of heart. From what I hear, though, Costa Rica's THE place to go, if you're into birding.